Nova Derm Eye Cream Review 2018: Does it Work? Nova Derm Eye Cream Review: Does it Work? Nova Derm Eye Cream claims to be an advanced proprietary formula that protects the skin and combats aging. 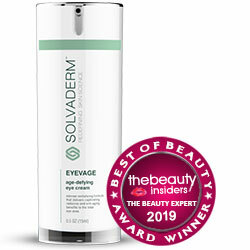 It is formulated for the delicate skin in the eye area where most aging signs usually start to appear. The product reduces the effects of photo-aging on the skin, minimizing fine lines and wrinkles by restoring fibroblast in the skin. It is also said to boost the production of collagen in the skin through anti-aging peptides that have been shown to reverse skin aging. 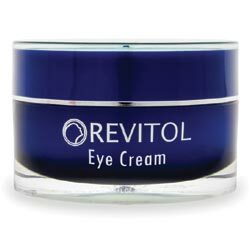 There is no price indicated on webpages offering a free trial of the anti-aging eye cream. The product is from an unknown manufacturer and there is no information available where it is made. There are some complaints online because of the free trial offer stating that it only lasts a few days and the total charge on the credit card used to sign up for the free trial is more than $90 after the trial period. No specific active ingredients are provided on the websites offering a free trial of Nova Derm Eye Cream. It is only stated that the product uses vitamins and other nutrients which nourish the skin. The websites also mention the use of anti-aging peptides in the formulation but the particular peptides are not mentioned. The peptides are said to stimulate the production of collagen in the skin in order to restore the youthful firmness and smoothness of the skin. For best results, wash your face and make sure it is dry before applying Nova Derm Eye Cream. Apply a thin layer around your eyes then massage thoroughly to ensure absorption of the key ingredients. Allow the formula to dry before using other products on your skin like makeup. Nova Derm Eye Cream is just another anti-aging formulation being sold online. It is only worth trying because of the free trial being offered by several websites. The product is designed to treat the most common skin aging signs which typically start to appear in the eye area. However, the lack of information on the product’s active ingredients is not a good sign in terms of its effectiveness. There is no evidence whatsoever proving that it really delivers what it claims to do. There are some complaints regarding the free trial which is only a few days. This is not enough time to thoroughly test if the product is effective or not.